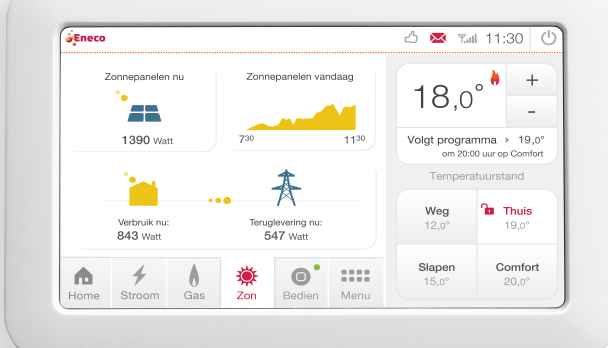 Toon®, Eneco’s smart thermostat, is picking up the pace. Toon’s API, which beta version was released in December 2015, already hosts a community with over 500 developers. July 1st 2016 Eneco will invite the first developers from its community to start producing their apps. This enables these developers to release their apps to be used by over 500.000 active Toon users in The Netherlands. I am the co-author of the Toon privacy principles that you can find on the API site. These principles are published here. The purpose of these principles is to provide a uniform privacy message based on Eneco’s vision and closely connected with the basic elements of privacy legislation. The privacy principles have been digested from the output of a number of workshops I conducted with key Eneco and Quby (the Toon manufacturer) employees and represent the “Privacy DNA” of the Toon. They are as much a feature of Toon as any other feature. Using privacy principles is a great way to establish and communicate a uniform privacy message to your employees and customers. They provide guidance for employees on how privacy compliance should be observed on a day to day basis and establish trust with your customers. Interested in your own Privacy DNA?